Possibility to spend the night at Bangalore airport (BLR), if open 24 hours. Services available, places to rest (free resting zones), or look for the list of nearby hotels and vip lounges..
Bangalore's is a modern airport that opens 24 hours a day. Although the international sector is relatively quiet, it is not the same in the domestic sector, where there is a lot of movement and you can expect a lot of noise. Where to rest: Although there are not many resting possibilities, the quietest place is the Departures area. 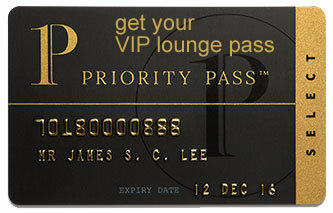 You could also enter one of the VIP lounges for more comfort. Some of them are open around the clock. SEE VIP LOUNGES On the other hand, on level 2 there is a hotel. Baggage: In the Arrivals Hall there is a left-luggage service where you can leave your bags until check-in time. Eating and drinking: There are options open throughout the night, especially on level 1. On level 2 of the Domestic Departures area is situated the Day Hotel (Tel +91 806 678 2425). You can find several hotels near the enclosure, some of them with shuttle services: Taj Bangalore (Tel +91 806 600 3300), Hotel Presidency (Tel +91 962 022 2809), Fantasy Golf Resort (Tel +91 997 209 2701), Clarks Exotica Convention Resort & Spa (Tel +91 807 177 7000), Airport Residency (Tel +91 984 561 0866), Amulya Resorts & Park (Tel +91 855 303 6003), Shivas Gateway (Tel +91 910 898 7454), Regenta Inn Bangalore (Tel +91 900 897 7003), Purple Cloud Hotel (Tel +91 998 693 5353).